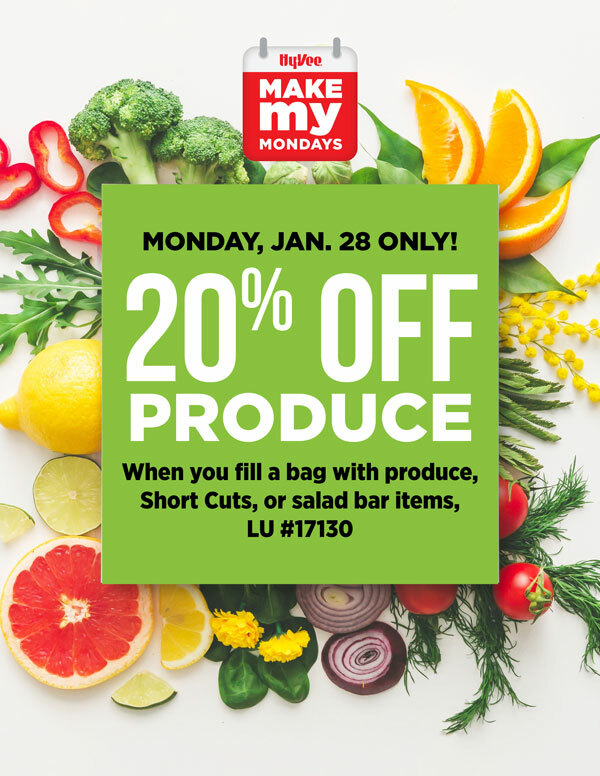 Get 20% off your sack of produce, Short Cuts and salad bar items with LU #17130 January 28, 2019 only. Available in-store only. Some restrictions apply, see store for details.